It may be overwhelming to see the large selection of bowls that Holland Bowl Mill has to offer. Choosing the right type of wood and style can take some time, but the right size of your bowl is equally essential. We guarantee that you will love any set of wooden bowls, but do not overlook the versatility of our 6-inch wooden bowl. 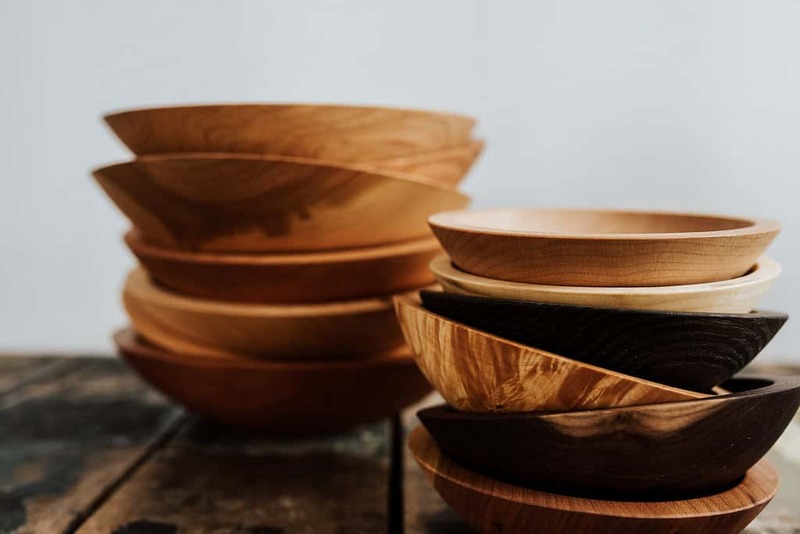 You might be under the impression that everyone reserves a wooden bowl for hosting get-togethers or parties, where you will serve multiple people from the same large bowl. That’s not the case with our 6-inch bowl, which is the perfect single-serving size when you are craving your favorite snack. Are you always forgetting where you put your keys? Keep a 6-inch bowl right inside the door or on your desk. When you empty your pockets each day, place your keys and wallet in your wooden bowl and never worry again about misplacing essential items. Put your 6-inch wooden bowl on your nightstand, and at the end of each day you can switch out your glasses for a sleep mask and rest comfortably. Alternatively, have your 6-inch wooden bowl in the living room, using it as a candy dish on your coffee table. Wooden bowls make great decorations around the house. You can pick the perfect type of wood that will blend with your home’s decor. Fill the bowl with materials that contrast the bowl’s unique color to draw attention from your guests. Don’t forget that wooden bowls make fantastic gifts. Give a 6-inch wooden bowl as a wedding gift, or celebrating your employees and clients with a corporate gift. Holland Bowl Mill can also add a personalized message to the bottom of your bowl at no extra charge. Make your gift even more special by commemorating the occasion with a unique message. Need more ideas for what you can do with a 6-inch wooden bowl? Just stop by our showroom at 120 James Street in Holland, or give us a call at (616) 396-6513. Regardless of the size or use, all Holland Bowl Mill bowls come with a lifetime guarantee.